Meetings and calls with anyone. 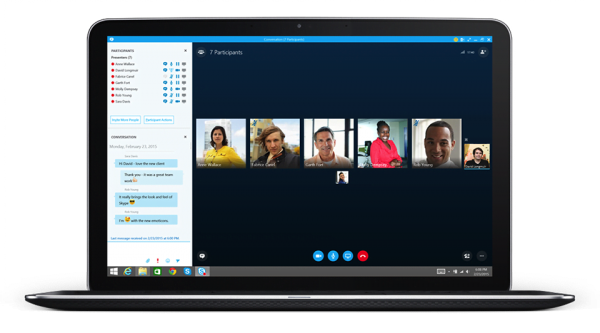 Meet with up to 250 people—even if they’re not on Skype for Business. All they need is a phone or internet connection. Powerful productivity with Office. See your contacts’ online statuses, schedule meetings in Outlook, and start conversations from apps like Word and PowerPoint. Security and control. Conversations are protected by strong authentication and encryption, and you manage employee accounts and features.